Happy Earth Day / Prius vs 69 Jeep CJ5! 3.67 million Prius automobiles have been built and sold as of March 2013! Over half were sold in the US! GREEN! This car is touted as so green that it makes hippies dance without a hit from their bong. Whoa – the biggest user times 3.67 million Prius built = huge environmental impact! Wow, 2013 Prius with cool bumper-stickers and my 44 year old Jeep! Which is more green? 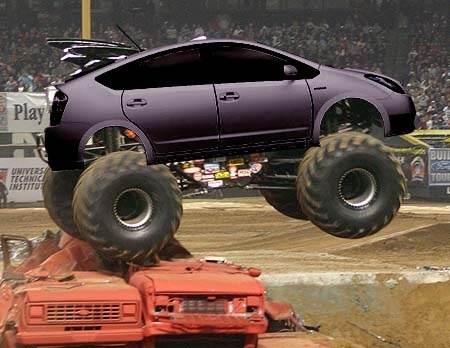 Well, I guess we have to find out in 40 years if the Prius is lifted and still on the road! Happy Earth Day! and remember dream of Whirled Peas…peace out! Made me laugh! Remember the South Park episode about smug? I still laugh hard when I watch it for the umpteenth time. Oh, I gotta go find that episode on YouTube! Thanks Hank! Fondle that Fern! Thanks Casey! I know – and you know that I love and miss you two! You both mellowed me in more ways than you know! My sister drives a green Prius! (definitely a hippie car.) We have a Toyota (Baja) Tacoma ALL BLACK 4wd truck. You’d LOVE this truck. 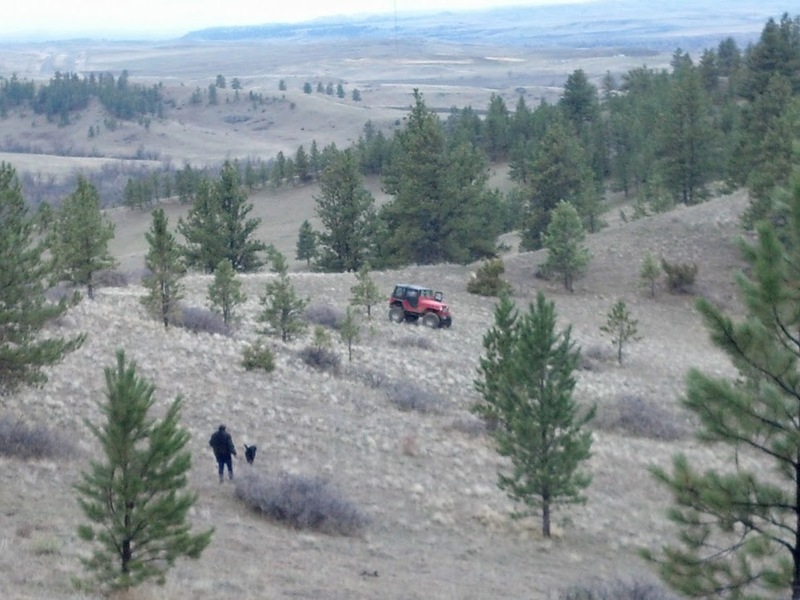 We sit high,and have tires that can handle all terrain. Out here we get mud, snow, ice, and dirt roads. If you don’t have a decent truck out here, the neighbors look at you funny. God Bless Earth Day & May you visualize “Whirled Peas”….. 🙂 Thanks for the fun blog! Well, I guess we will have to make an exception and send love to ur sister! I hear ya on trucks – nothing more fun! 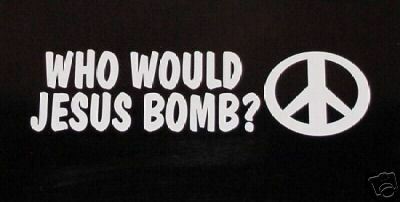 I kinda liked that whole Jesus Bombing and it is a sticker on Ebay! found it! Oh I don’t hate anyone – just love irony!